Open thread | Climate Etc. The best of times, yet, paradoxically, they’ll also be the “worse than we thought” of times. It was ever going to be thus. A real life propaganda artist working to restore credibility in AGW through projects like UC-Berkeley’s BEST? At this time of year, start of the Arctic melt season, there are large areas of ice adjacent to Canada and Greenland which will disappear completely well before the end of the year and do not form part of the remaining area of shrinking Arctic ice. Hence they are basically irrelevant when considering the amount of ice loss that finally occurs. Should these areas be excluded from being counted in the attempt to see if ice melt is going to be greater or less each year as they play no real part in the final minimum ice extent and area. Not to mention what the ‘Meaning of ISIS’. I take it you mean you would like to see an anomaly plot? That’s used. What I would like to see is a theoretical albedo plot. I think this can be estimated using the ice and corresponding latitude and time of year to get a sense for the impact. Evidently missing ice in October isn’t the same as missing ice in mid June. Does anybody prepare anything like it? It doesn’t have to get too fancy or I won’t be able to understand it. I started building a spreadsheet and then I had a panic attack when Spain lost and I will never recover full brain function after the subsequent ethanol overload. Yeah. I got chewed at because I mentioned I consider a change in cloud cover a forcing. I guess it depends on where one starts. What do you mean by equilibrium with respect to entropy? I want to know what the meaning of equilibrium is, in a climate science sense, when they state things like ‘warming’ of the top of the ocean will cause warming of the depths until they reach ‘equilibrium’. I want to know what they mean. It isn’t polite to ask a climate scientist to define what equilibrium means as in Radiative-Convective Equilibrium. Generally equilibrium refers to state time-invariant in the absence of external fluxes such as mass, energy, charge, etc. and is a state of maximum entropy. The closest physical term for such ‘equilibrium’ is a steady state. A steady state does not change internally with time, but exhibits constant rates for entropy increases and free energy decreases. The latter, dissipation, is the constant work which has to be exerted to keep a system from relaxing towards equilibrium. The advantage of calling a steady state an equilibrium is that one avoids the subject of dissipation. The disadvantage is that maintaining a steady state without dissipation is a form of perpetual motion. Dissipation is not a term common to Climate Science textbooks. Quondam: The advantage of calling a steady state an equilibrium is that one avoids the subject of dissipation. The disadvantage is that maintaining a steady state without dissipation is a form of perpetual motion. Dissipation is not a term common to Climate Science textbooks. That is why I always include the word in the phrase “high dimensional non-linear dissipative systems”, and one reason why I direct attention to the text book by Kondepudi and Prigogine which discusses dissipative systems “far from equilibrium”. “At equilibrium”, energy flows stop and the temperatures are the same everywhere perpetually. It’s assumed because it permits calculations that are probably reasonably accurate (this can be tested by measurements), for systems that are in approximate “steady-state” (where temperature gradients are maintained at least approximately as flows between regions are nearly constant.) “Equilibrium” (and the error of approximation the assumption entails) is discussed in the book “Principles of Planetary Climate” by Raymond T. Pierrehumbert. The equilibrium assumption is not “empty”: it is the assumption by which the scientists calculate the warming effect of extra CO2 by assuming that the entire Earth surface equilibrates to the same temperature, so that the change in T^4 is the same everywhere. If you assume that the day/night, seasonal, millenniel etc differences in insolation, rainfall, humidity, temperature etc. are “small” then the Earth is in an “approximate steady state”. The difficulty in treating of a system that is in “approximate steady state” is that not much of interest can be computed from first principles. Instead you need detailed information on all the energy flows and their “small” fluctuations. What is “small”? The Earth mean temperature is 288K, and the “forecast” (“scenario’d”,predicted, modeled, expected, etc) effect of doubling CO2 is about 1/3% – 2/3% of that. That is “smaller than” the errors of approximation entailed in the calculations from equilibrium. Again the deniers are out in force with the “equilibrium” sledge hammer. That’s a hoot … remember that all semiconductor physicists and engineers learn equilibrium statistical mechanics so they can apply it to the highly non-equilibrium regime of device operation. Same goes for every other discipline that uses thermodynamics and statistical mechanics. The usage of the term equilibrium is a crutch because you have nothing else to argue with. I was called a denier in a newspaper comments section and it sure sounded weird. So what exactly do you think people deny? In my case I was trashed because I laughed at the oil production forecast the IPCC was using in their “Business as Usual” RCP8.5. However, I guess this is just the internet. So suit yourself. Er, except bioenergeticists who work on living systems. In bioenergetics we never really get to use the equilibrium approximation because the systems are far from equilibrium. Biological pathways just love irreversible chemical pathways that drag fluxes in one direction, so you have a system that is both kinetically and thermodynamically rich. 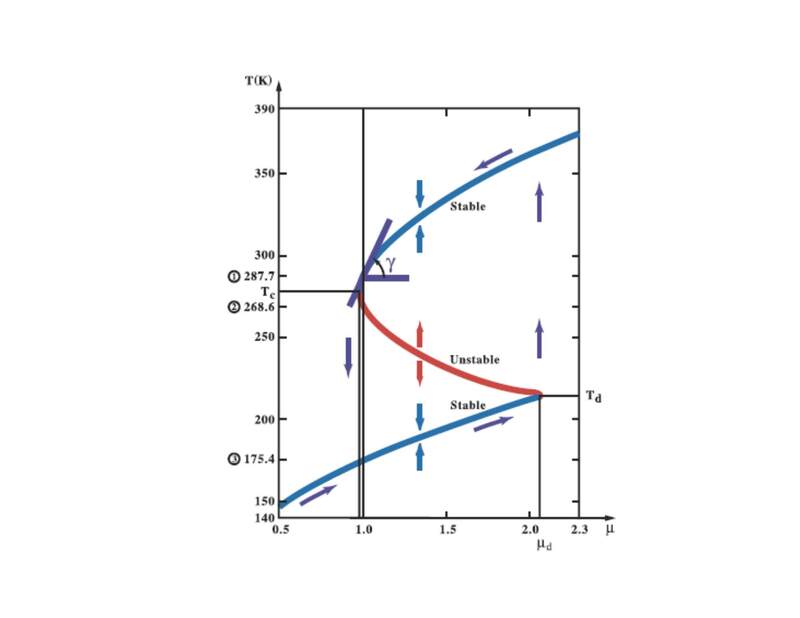 A semiconductor device, such as a transistor, is always far from equilibrium when in operation. Yet, one can use all the equilibrium statistical mechanical models such as the Fermi-Dirac or Boltzmann distribution, to your heart’s content when modeling the behavior of the device. How can that be when all the pseudo-skeptics claim that it can’t be done? It’s because a quasi-equilibrium or steady-state approximation is good enough. Is that why I can clean up on climate science models while the pseudos are frozen in place, confused on how to proceed? Probably not, as I sense they are just using the equilibrium argument as a rationale to “explain” how the climate science models are all wrong. Nope. You can assume an equilibrium in just about any system and get reasonable results. The problem is when the non-equilibrium conditions are significant with respect to the modeled performance. When you assume an equilibrium condition exists then try to predict a fraction of a percent change, you may have to reconsider your assumptions. WebHubTelescopes: It’s because a quasi-equilibrium or steady-state approximation is good enough. The documented error rates are what? In my youth, errors of 10% in the ratings of resistors and such were considered good enough, and 1% errors were considered excellent. Engineers had years of experience designing things to be robust to errors. Here we have a case where the error in the approximation is arguably greater than the effect to be estimated, and trillions of dollars of investment are to be spent because of a mathematical model that has not been seriously tested; in a system that has not been designed and manufactured with continuous quality improvement. In measuring blood constituents related to health, errors of up to 25% in routine operation are tolerated. It never follows that the margin of error in one application is good for a different application. Once again, the issue is not the existence of the approximation error that is the issue: all mathematical models have approximation errors. It is that the size of the approximation error renders the approximation questionable for one of the uses to which it is put. You are saying something but it is of little to no value because it remains an abstract argument on your part. WebHubTelescope: You are saying something but it is of little to no value because it remains an abstract argument on your part. Everything in the debate about future consequences of future CO2 increases is abstract. One concrete fact is that to date the model predictions have been too inaccurate to rely on for policy purposes. Until they have a record of demonstrated accuracy over reasonably long time spans, the models remain academic exercises. Much of the confusion is due to semantics. I once asked a modeler why the stratosphere should cool when the troposphere warmed. He told me that it does not happen immediately but is observed at a later time in the model. So it is not an immediate cause and effect. But sometimes science writers are not careful about how they describe things. Regarding cloud cover forcing, you could be right depending on how you define “forcing”. When I was a student in the 80’s, forcing was defined as clear sky satellite data (pixels averaged up to regions) subtracted from satellite data containing all cloud regions. There was some debate about this at the time and I do not know if the definition has changed. I’ve been out of the discussion for a long time. WebHubTelescope: Is that why I can clean up on climate science models while the pseudos are frozen in place, confused on how to proceed? Probably not, as I sense they are just using the equilibrium argument as a rationale to “explain” how the climate science models are all wrong. You could settle the debate in one post if you could link to publications showing (correctly) that the approximations are indeed sufficiently accurate to the purposes at hand. What exists in the published literature are good reasons to doubt that they are accurate enough based on analyses of the processes and of mathematical models of dynamic processes; and a record of the climate models, extrapolations, calculations etc making errors that are consistently high, and consistently too high to be trustworthy for the future. Marler is the typical example of someone lacking intuition crossed with the inability to construct a mathematical model. What is left is muddled thinking that is so ambiguous that no one would approach it even with a 10 foot pole. Suggestion, why don’t you lay out a model and we try to destroy it? Playing this game of 20 questions trying to figure out your point is tiresome. I was surprised by Steven Hayward’s knowledge on some topics of climate science and was pleased that these were presented by Dr. Curry. This morning I was going back over the Hayward thread and thought, basically, the climate wars are about predictions, and predicting is not the purpose of science. Awhile ago somebody made a comment that this was, indeed, the purpose. Nobody disputed him, but that view did not make sense to me. Accurate predictions may be the goal of weather forecasting, but is it the goal of climate science? Isn’t science an outgrowth of man’s natural curiosity and his natural inclination to solve problems. Einstein was trying to solve an observed phenomena when he happened on the Theory of Relativity, and I don’t think Maxwell’s Equations came about in trying to predict the future of radio communication. The Bottom Line: I think there needs to be a concerted effort to get science back into climate science. Perhaps this should be the opening line in the next APS Statement on Climate Change. Understanding nature such as to develop a theory which can be tested is fairly common. The theory is tested by using it to make a prediction and seeing if it’s confirmed. For example I could come up with a theory of quantum gravity which states the gravitational constant is variable, and request they try to confirm it measuring light as it bends around galaxy clusters. Tell it to the Dutch. The most direct analogy was the ozone hole. Science predicted it would grow unless certain actions were taken. Those actions were taken. Science can be about prediction of consequences of actions or lack thereof. Jim D, I tend to agree. However, getting rid of Freon wasn´t so traumatic. And that ozone hole sure was impressive. What you face now is your inability to convince people to take drastic measures which will make their lives a lot less comfortable. And in some cases you suggest actions which do make groups of individuals lose their jobs. So of course you will meet a lot more resistance. I think this subject is loaded with politics, and it has been mishandled from the start. Fernando, you have fallen for the economic alarmism surrounding trying to mitigate. The IPCC WG3 estimate says that even the most effective mitigation targets cost a small percentage of growth up to 2100. That is 12% compared to 500-900% GDP growth. Use some real cost numbers rather than what your alarmists claim in just words. Poor little jimmy. Too bad for your side that we have real life experiences of the costs of mitigation staring us in the face. It’s not going over well. You know what I am talking about. Don’t you, jimmy? DM, all the alarmism about moving away from coal has not come to pass in the states that have tried it. Perhaps you need to provide some examples of reductions in fossil fuels already causing economic collapse. “The most direct analogy was the ozone hole.” Was? Isn’t it alive and well? Check your “facts”. I´m not against trying to mitigate. I´m against the amount of deception they are using, and the dumb ideas. For example, here in Spain they went for solar power, and it turned out to be an economic disaster. I also read a lot of silly ideas, such as subsidizing fully electric vehicles. I would rather see a small carbon tax to encourage better hybrid technology. And I also see a fairly blind approach in the sense that loans to build hydropower in less developed countries make a lot more sense than say solar power in Germany. Many countries seem to assume they live in a bubble atmosphere. Science attempts to correlate a range of observations into a single (or small group of) equation(s) or concept(s) based on a conceptual framework, so that all these observations fit the description so generated. In some cases it is not clear whether the model so generated constitutes merely a curve fit to the limited amount of data presently available, or whether it discovers something deeper and more basic. The ability to predict outcomes of new measurements and observations provides additional assurance for the model. In climate science, where most data are of inadequate duration, very noisy, and confused by other variables, the use of models with adjustable parameters makes most models highly suspect as being little more than curve fits. Thus predictability is critical in assessing climate models. I have worked with oil field models which use some of the basic principles used in climate models. I think we evolved in parallel, use the same basic principles, and talk to the same experts. We also have limited amounts of data, have evolved to use kriging to infill the grids, fret over parameterization techniques, and do cartwheels to get a good history match. But we do have an advantage….in our case the critical part of the experiment lasts about 10 years (that´s because we are into making money and discounting does make those first years the critical phase). It´s safe to say we know with absolute certainty if we use only one forecast run the model will be wrong. And so we run multiple realizations, multiple matches, multiple forecasts….and then bunch them and so on and so forth. And we are still wrong. Why? What I found in real life is that as things move forward the assumed external inputs are never what we plan. As new data arrives we change what we do, decisions are made, and things fall apart. We do value of information exercises, and to our chagrin we find decision makers behave irrationally when we do buy the information they may need (that´s right, they don´t pay attention to incoming data they paid to obtain). So I punt. Fernando, in the oil finding game, if the therotician predicts there will be X-amount of recoverable oil if they drill at X-marks the spot, do they sack the drillers if they don’t find any oil where the modelers predicted and call them rude names? Which is (in part) why I say, again and again (perhaps I should stop; it doesn’t seem to have had much effect) that the main thing that we know about the future is that it will surprise us, it will not develop as we surmise, the critical changes will very often not have been on our radar. So seeking to base policy on a particular projection of the future (particularly when one complex and little understood field, climate change, is regarded as paramount relative to all other uncertain fields and interests) is unlikely to be an effective way of improving human well-being (or whatever other major policy goals you might have). So it is surely rational to say that, as the future is uncertain, as our capacity to identify future paths in any field is limited, we should pursue policies which will give us the best opportunity to deal well with whatever future befalls. This will IMHO require policies which support flexible, entrepreneurial, innovative, diverse, responsive capacities and activities. Pursuing simple policies like making greater use of market forces (which do not depend on centralised assumptions from limited information) and free trade (which tends to encourage people/economies to focus on doing those things at which they are best and trading for mutual benefit) etc will clearly be more beneficial than dirigiste and directive policies which many promote to deal with the alleged CAGW problem. Whether or not CAGW is a real and pressing threat, capacity-increasing policies are likely to prove better than capacity-reducing GHG emissions-reduction policies. I might have to adopt Robert Ellison’s approach, copy this and regurgitate it as required, or perhaps have it appear automatically on (say) every tenth thread. We will call it argument X.
Beth – the – serf. OMGH Faustino, I would have liked to dance with yew and the Generalissimo also, in his blue suede shoes. to focus on soldiers, a smiling Cossack. For those bemused by Beth’s post, we had an exchange on Nureyev on the Hayward thread. Doc Martyn, the “drillers” don´t pick the spots, so they never bear any blame for the failure to FIND oil. They are put in a metal cage and fed scraps if they ruin things (BP´s Gulf of Mexico blowout is an extreme case). It´s unusual to have management punish personnel if wells come up dry. They do get upset if the total production figures, costs, and profits go out of the predicted range. This is where “sandbagging” comes in. Sandbagging means we take whatever the model says and multiply it by a fudge factor. Some engineers like to sandbag the model itself, but that´s not sanitary because unless they document it very well then anybody picking up the model will run with it and get weird results if they try to sandbag on top. I guess the models tend to fail because the scale up and parameterization don´t work well enough, and in some cases the coupling isn´t tight enough (coupling in our case can involve changing the rock properties as the fluids are withdrawn, this type of coupling isn´t common, but I found it does impact results so I always tried to get engineers trained to couple the stress field, which can be a really difficult issue. Anyway, I think I´m starting to get too technical. Let´s just say I think the climatologists could probably use talking to people who run large models or know what we do, for example the model developers at Los Alamos. You COULD talk to a commercial outfit but they will probably bias what they tell you to sell you consulting services. Los Alamos and the other shops are getting a bit like that, but they aren´t nearly as bad. rls: Einstein was trying to solve an observed phenomena when he happened on the Theory of Relativity, and I don’t think Maxwell’s Equations came about in trying to predict the future of radio communication. Predictions test explanations and models. Maxwell was trying to predict quantitative relations that had been discovered by Faraday and his colleagues and predecessors. The famous “Eddington expedition” tested Einstein’s prediction of the bending of light passing the sun, and the successful/accurate prediction by Einstein was one of the pivotal events in the acceptance of his General Relativiity. Failed predictions are how we find out when our explanations have been incorrect. More than any other group of people concerned with human knowledge, scientists direct attention to finding out when they/we are wrong. Making and testing predictions is one of the tools in this construction of human knowledge. Also, prominent scientists have used calculations as a basis for recommending expensive changes in public policy regarding energy development. If the calculations/forecasts, etc are inaccurate, then recommendations are baseless. I welcome feedback on my new book, The Cartoon Introduction to Climate Change, which includes blurbs from (among others) environmental economists Bill Nordhaus and Marty Weitzman, and also Kevin Hassett of the American Enterprise Institute. Not had time to look yet Yoram, but on a related topic, Yann Goap is a cartoonist with a French angle on this subject e.g. I haven’t seen much discussion about the relevance of the latest IPCC report to global warming poster children, low-lying islands. It has been common to conflate coastal erosion with sea level rise and global warming. But AR5 WGII says the evidence of the linkage is scarce to none, citing studies that suggest sea level rise isn’t a substantial driver of coastal change on Pacific atolls. CNN among others said Carteret Islands will ”disappear into the water by 2015”. Yale 360 said ”Inhabitants of Carteret Atoll have all moved to Papua, New Guinea” implying climate induced sea level rise (in fact the atolls ARE a part of PNG). There are countless news, reports, even scholarly articles claiming the whole population, sometimes cited as 1000, 1500, or 2000 had to relocate due to global warming. The PNG government even issued a stamp about the sinking islands and global warming. Truth: hardly anyone has relocated. Many of those who have left, already returned. The population is growing fast, currently apparently at over 3000. There is no evidence their erosion problem has anything to do with global warming. Tectonics and decades of dynamite fishing are some of the other explanations. AR5’s take: ”the example of the Carteret Islands cannot be described as evidence of adaptation to climate change”. A story about global warming washing Japanese soldiers from their graves in Marshall Islands was making rounds last week. Even the mainstream media here in Finland saw it as an important development. Tide gauge data from the 1940’s is available, showing a total rise of about 15 cm, roughly the same amount it varies annually. Could it be that the erosion has another driver? At the same time, the US funds coral mining and dredging at Marshall Islands to build a new airport. Eco activists are too busy screaming about global warming to even notice this is going on. Not to mention the clear causal link to the erosion problem (which CO2 has not). The ex-president of Maldives has claimed 16 of their islands had to be evacuated due to global warming. After a little fact-checking it has turned out he, or the officials or anyone can’t name these islands. The official island population statistics don’t know about them either. On the other hand it’s obvious that the rapid urbanization, building, coral mining, traffic, etc. have accelerated erosion at Maldives, too. The IPCC cites studies showing that undisturbed atolls have in fact accreted during recent decades. Something worth of more attention? I suspect you will see no discussion of this. As you point out there is ample evidence that these islands are not in any danger. but as with most dire predictions from the warmists, when these fail to come true, they carefully forget about them as much as they can. And the MSM will not say anything. The BBC also recently reported the “sinking Marshall Islands” uncritically [no comments enabled]. Trying to do their job for them, I looked further. Apparently, the source of the information seemed to be from a paper from an Australian BOM scientist who sensibly recommended extreme caution in interpreting the results [I can’t find the ref yet]. This made sense because the sea level data was going up and down like the Assyrian Empire, with El Nino/ENSO events clearly being dominant. The BBC didn’t get that far of course. It was dutifully repeated as being due to “global warming”. Darwin realized in 1834 that coral atolls (e.g. The Marshalls) are living things that build up and down with sea level. They do so as long as the corals are healthy. That is why Tivulu has not produced climate refugees, as so loudly proclaimed in 2001 and 2002 via headlines like Goodby Tuvalu. These island states are threatened by three things. Overfishing and pollution, both of which harm the coral. And freshwater lense drawdown, which threatens limited agriculture and industry. All three are made worse by growing populations that the islands inherently are increasingly unable to support. Another anthropogenic problem unrelated to climate change. Conclusion The Istvan Postulate is false. Not one of “observational data” references contain observational data supporting Fan’s conclusion. Maybe he is not always right. All anyone knew for sure was that the nuclear-powered attack submarine had slammed head-on into something solid and very large, and that it had to get to the surface fast. Verify-II Google Earth shows numerous nearby submerged atolls that include: Tarang Reef, Condor Bank, Oraitilipu Bank, and Shin-Matsuye Bank. Trust-III Trust FOMD’s first-hand testimony that the Navigator Clan of Satawal knows of *ALL* of these submerged atolls (and more! ), both by the obvious sign of lighter-blue water for shallow submergence, and by the less-obvious sign of tuna and sperm whales that aggregate over the more deeply submerged atolls. FOMD’s testimony is first-hand in the sense that he has travelled to Satawal, and has talked with these navigators, and thus knows first-hand that the traditional navigators of Micronesia regard the submarine’s captain as exceedingly reckless of submerged atolls. Conclusion In western equatorial Pacific waters, submerged atolls are comparably common to atolls that break the surface. Lesson-Learned There’s a lot more to navigation than GPS, Curious George! URL: Adrift 500 Feet Under the Sea, a Minute Was an Eternity . See also The Pwo Ceremony on Satawal . Lessons-Learned Never underestimate first-hand experience. The good people of Micronesia are gravely concerned in regard to sea-level rise … as well they should be! Oh, sorry .. I did not understand that every seamount was a drowned atoll. Can you prove it? Ever heard about a submarine volcano which never made it to the surface? Question How do we know that sea-features like Gamen Reef (for example) are drowned atolls and not emerging volcanoes? Answer Fly in Google Earth to 7°26’22.55″N, 144°38’51.32″E and observe for yourself the white coral sand (not black basalt sand) that is shining beneath the waves! Needless to say, the Outer Islanders understand this distinction perfectly … and their legends tell of inhabited atolls that were submerged forever in a single night of typhoon winds. Conclusion Pacific Islanders entirely reject Rud Istvan’s denialist cognition in regard to innocuous sea-level rise … and they are wise to do so. I claim it is impossible to measure the no feedback climate sensitivity. “Steven Mosher | June 9, 2014 at 3:40 pm | No actually the 1-1.2 number is easy to measure. Its the no feedback case. and Steven describes the calculations using radiative transfer models. All of which has nothing to do with any form of measurement. Steven, do you claim that the no-feedback climate sensitivity can be measured, or are you still claiming that there is no categorical difference between estimates and measurements? I claim that no feedback climate sensitivity can NEVER be measured. Do you dispute this? Jim Cripwell, you carefully set up your strawman by using the word ‘measure’ instead of ‘estimate’. Most people would call climate sensitivity by any means an estimate, not a measurement. Why is this a strawman? The Scientific Method demands that measurements be made before one can declare that an idea can be considered to be anything other then a hypothesis. So why is discussion as to whether CS has been measured or not a “strawman”? You also write “Most people would call climate sensitivity by any means an estimate, not a measurement.” I agree. That is what I have been saying for years. And I cannot understand how the IPCC can claim any sort of certainty with respect to CAGW, when the key number of CS has NEVER been measured. Can you explain? You can try to find a published example where someone has said they have measured climate sensitivity. No one says that. This is a straw man, because you put ideas out there that are not descriptive of the process, then you attack them. Science is about evidence and estimates. Every theory in science is an approximation to nature. There is no absolute truth like in mathematics. Nonsense. The process I am discussing is The Scientific Method, which requires things to be measured. If the warmists are relying on estimates for the numeric value of climate sensitivity, then they are not following The Scientific Method, and there is no basis to claim that CAGW is anything more than a hypothesis. Jim Cripwell, OK, for example relativity can be proved to be an accurate theory by measurement of its predicted effects, but its key constant is the speed of light, and the theory doesn’t predict that value. It takes it as a given. That doesn’t invalidate relativity as a theory. Never mind examples. Do the IPCC and the warmists in assessing the validity of CAGW, follow The Scientific Method? Yes or no. Yes, the scientific method is about collecting data and coming up with theories to explain the data. The success of the explanation not only for the original data but also using independent lines of evidence, is a measure of the success of the theory. This works for any scientific theory you care to mention. Thanks. Clearly your understanding of what The Scientific Method is, is completely different from mine. Jim Cripwell: I claim it is impossible to measure the no feedback climate sensitivity. Your case falls apart on your inability to come up with any examples of scientific measuring systems that do not depend on “estimates” of quantitative relations between “proxies” (i.e. mercury volume) and the estimands (i.e. body temperature.) According to your criteria, nothing has ever been “measured”. Nonsense. The Scientific Method requires that things be measured, and I believe that CAGW ought to follow The Scientific Method. Are you somehow claiming that I believe that NOTHING in physics has ever been measured? What you are not addressing is a description how, in theory, it is EVER possible to measure no feedback climate sensitivity. Give me a description as to how, in theory,this could be done without the feedbacks confounding the measurements. If someone took what you have to say to heart, they would give up doing any climate science whatsoever. What is the point if “The Scientific Method” deems it impossible? Note this is a theoretical model that maps a conjectured behavior to MEASUREMENTS taken over the years. Amazing how well it works. And I worked on it in spite of it being deemed impossible according to your view since the underlying behavior itself isn’t really measured, only the induced effect. That’s the way much science is done — behavior is inferred based on a theoretical foundation. Another good example of this inference approach, something that I got a PhD in as a matter of fact, is particle diffraction. Long before scientists could see the atoms in a lattice, they could infer the lattice structure and atomic spacing based on electron or x-ray diffraction physics. This was in no way measured directly and when advanced microscopy techniques ultimately allowed scientists to “see” the lattice directly, the outcome of the results was already a done deal. The lattice structure was exactly as the diffraction crystallographers had predicted. So it will be with CO2 as a GHG agent. The evidence will continue to mount and every substantiation will affirm that the foundational science is correct. Jim Cripwell: The Scientific Method requires that things be measured, and I believe that CAGW ought to follow The Scientific Method. Are you somehow claiming that I believe that NOTHING in physics has ever been measured? I am not addressing your beliefs. Nothing in science is measured without an estimated relationship between a proxy (I used mercury volume) and the estimand (I gave the example of temperature.) By your written criteria, whatever your beliefs, nothing has ever been measured. Everything has been estimated. Humidity? Temperature? Distance? Pressure? Speed? Mass? Force? You have never, for whatever reason, described in detail anything that is “measured” without estimation at the heart of the measurement process. Jim Cripwell — In every interview that Dr. Curry gives, she starts with the phrase “I believe in the basic science” and then goes to give her “buts”. Isn’t Dr. Curry’s use of the term “basic science”, Steven Mosher’s no feedback loop? If you were on a panel with Dr. Curry, would you disagree with her that there is no “basic science” that we can start with in studying/understanding AGW? Sorry, Stephen, I don’t understand the question. To me, the basic physics is crystal clear. It is not practical to measure the key number, namely climate sensitivity. Until this is done, CAGW remains just a hypothesis. Such little empirical data as we have, indicates that adding CO2 to the atmosphere from recent levels has a negligible effect on anything to do with global temperatures. And I object to my tax dollars being wasted trying to solve a problem that almost certainly does not exist. Hi Jim. Following your reasoning, is it fair to say that gravitational force can never be measured either? For example, I could measure (well… estimate) the rate of acceleration of an object falling in a vacuum. From this I could infer a force, although in truth I never measured it. I only ever measured position and time pairs for the object in question. Are we to say the theory of gravitation is useless on this basis? Likewise, climate sensitivity is inferred. There is nothing intrinsically wrong or unscientific about this (although the inference is far more problematic). Please accept this as a piece of rhetoric meant in good spirit with no need for reply. well, that and the paleoclimate evidence for high variability fueled by changing CO2, and the theoretical basis, and the temperature trends over the last century. Jim D riddle me this, why is it that ‘Climate Scientists’ insist that there is a high climate sensitivity and the reason we have a ‘pause’ is because of the negative ‘forcing’ due to aerosols; and yet when it comes to paleoclimate reconstruction they plot temperature vs log[CO2], but ignore that dust proxies of atmospheric aerosol levels? I mean, an tiny negative ‘forcing’ is stated to be stopping the effects of rising CO2 in its track, and yet, the aerosols levels recorded as dust levels in the ice-cores show three orders of magnitude difference between warm and ice ages. An increase in aerosols will 1) cool the globe and 2) increase the rate of mineralization of oceanic organic carbon and so drop the steady state level of atmospheric CO2. So why Jim, why, are not the levels of both CO2 AND aerosols used in assaying the climate sensitivity of CO2 in paleoclimate reconstruction. Could it be that the sensitivity comes out at <2 degrees? Watt has a post on it, was wonder what folks here thought. What’s to think? The AGW consensus/paradigm is embarrassing. It’s a foolish thought. This article essentially gets it right— much of the energy imbalance in the climate system is found in the ocean. Moreover, the amount being stored is increasing over time, with the current rate being around. 0.5 x 10^22 Joules per year. Watts completely twists the meaning of research so he can provide nourishment for his echo chamber denizens. They lap,it up, unaware. Another way to look at it is that after three decades the alarmists have admitted they had no idea how to measure climate change. Awaiting the long lines of scientists eager to return their grant monies. What that Gatsey? Can you spell out what you mean by “energy imbalance”? I asked nicely at the top of the thread. As if the earth knew it had an imbalance and needed to go on an energy diet. What an intelligent earth. Energy imbalance is the practical condition of the climate system at any given point in time– either more energy is coming in than going out, or visa versa at any specific point in time. Over longer periods of time, it may average out such that there is a net energy balance, whereby the system is neither gaining nor losing energy, or the system may gain or lose energy, with that gain or loss being dictated by the sum of all external forcings. So, as we have an elliptical orbit the very minimum you are talking about is annual. To measure the outgoing radiation you would need at least 8 satellites in polar orbit on an line of longitude multiplied by at least 12, to give you continuous coverage of reflected solar radiation and emitted IR, and also a few satellites measuring incoming. A symptom of an energy imbalance is a growing ocean heat content, or an increasing surface temperature. These don’t happen over long periods by themselves, but are consistent with a changing forcing that causes the imbalance. How do you know? I know that huge amounts of hot brines travel from the equator to the poles, on the timespan of months. Cold polar brines sink and make their way to the bottom and work their way to the surface on timespans of centuries. Massive three dimensional rivers flow throughout the oceans, moving hot and cold waters, slight changes in their flow rate or direction make the idea of growing ocean heat content laughable. The ‘corrections’ in the sea surface temperature are a joke. Face it, you have nothing. 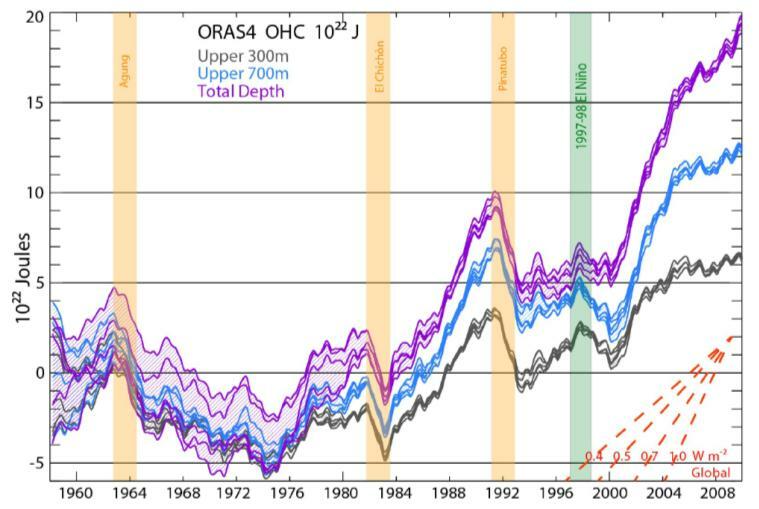 DocM, so you don’t think that the ocean heat content is increasing despite all the measurements. Interesting. You won’t find much scientific support for that view. Exactly right Jim D. Ocean heat content is the single best proxy for gains or losses to the energy in the climate system. Trenberth has the 300-700m layer warming more than the 0-300m, which is obviously thermodynamically impossible. So if the data that is presented is obviously wrong, then the methodology to arrive at the data is wrong. Obvious to DocMartyn, maybe not so obvious to an oceanographer, thermodynamicist, or mathematician. `Cuz (1) the ocean-water system ain’t thermodynamically isolated, and (2) the deep and shallow water-masses mix, and (3) the entropy density is observed to be increasing both at fixed depths and in the ocean as a whole. And the GAT is flat, how do the oceans acquire more heat? While CERES is not perfect I’d say it’s less imperfect than ARGO. Of course it is not thermodynamically impossible and thinking it is reflects an exceptionally poor understanding of ocean-atmosphere energy flux dynamics. Ragnaar, the TOA doesn’t have to be rising sharply for an imbalance to exist. It can even be flat because it includes both the forcing and the response, and if the response doesn’t yet balance the forcing, there is by definition an imbalance, which is the current state. This whole thing does confuse skeptics, I can see from this sub-thread. DocM, re “300-700m layer warming more than the 0-300m”, this is largely the effect of the PDO as cooler water spreads westwards across the Pacific surface. Don’t you believe in that either? This shows that the ocean is dynamic, not just a diffusing heat sink, as you seem to have it. Imbalance has a number of definitions. TOA measures inputs and outputs. OHC and GAT and some other stuff are balance sheet items. They are always in balance. Stuff is moving yes, as we write checks and deposit revenues, but at any time, if we would catch up on the accounting, it’s all in balance. When it’s not in balance, we look for stuff we forget to count. If we find all that stuff, we should be able to balance the books. When lost our balance that is, heat was missing, we found it later in one of the least measured areas. I’ve worked with spotty data before. In that case I look at the TOA or checks written and deposits made. If we capture all of that, we can determine the changes in the system over a certain time frame. Now if the question is, is it too hot now and did we cause it? I’d say we caused it to some extent. But that’s to say it’s too hot is like saying we have too many assets. But that’s a judgement call. A balance sheet is not wrong or incorrect if done right. I wish it were cooler is a judgement call. Bring in the concept of equilibrium, what is the correct amount of income, expense, assets and liabilities? What is the equilibrium value of these things? There aren’t any. There are preferred value yes. The climate equilibrium is what we decide it is, but nature may decide it is something else. The analogy I would use for imbalance is that adding CO2 creates a debt that can only be paid back with a surface temperature rise. This debt is increasing at a rate that the surface temperature can’t keep up with mainly due to the ocean heat capacity. The debt is the imbalance. Changes in ocean heat content don’t help at all with the debt (unless associated with a surface temperature rise), but provide the most important delaying mechanism for the payment. Without the ocean, the land would heat up fairly immediately with little debt left over. The imbalance is a result of the thermal inertia of the system that now can’t keep up with the forcing rate of change. So on one hand we have the statement that we are not observing an increase in SST due to the system not arriving at ‘equilibrium’ because of the long time this takes, heat hidden’, then we have the claim that ‘ the deep and shallow water-masses mix’ transferring heat from the surface to the depths rapidly and finally that entropic density is increasing by the movement of heat away from a radiant surface where it can project IR off into space, to the depths where it cannot. I’m sorry Jim D for my last rantish post. Yes, the CO2 is reducing outputs or expenses so we have more assets (heat) than otherwise. So while you say a debt, rather than get myself confused, I’ll say asset, but in this case this case assets may be potentially bad. I noticed some scientists forget a joule at 3000 meters yields more sea level rise than a joule at 300 meters. Think about it. So what happened? You got a new stamp? So instead of labeling everybody you don’t like communist, you now label them terrorist. Suggested topic: State of the current Uncertainty regarding airborne and snow albedo effects and cloud formation influence from man and Gaia spawned aerosols and particulates. I was hoping you could supply some data on total column water vapor and if you think that or specific humidity should be used as a metric to determine water vapor feedback. What I am sure of is the net feedback is zero to negative, not positive. Another place IPCC has gotten the basics wrong. Dessler 2010b positive cloud feedback is a statistical joke, despite what NASA’s website says about it. Will the eastern pacific cyclones/hurricanes affect the potential for a strong el nino to form? Predictions are a part of science, but only in relation to the testing of models. Making models is ans integral part of the “doing” of science and seeing whether prediction are accurate is necessary to assess the “skill” of any model. It is in the testing process that much of climate science fails because the assessment of the predictions requires the passage of time. The use of a computer cannot substitute for the the passage of time. Do you agree that making predictions is not the purpose of science? My point is that the climate war appears to be the result of confusion; between some scientists, about the role of science. The comment about the ozone hole is worth consideration. Back in the 1980s scientists alerted the alerted the world about major problems resulting from ozone depletion. My question, and I’m humble on this, did those scientists discover the problem in pursuit of a prediction? Or perhaps was it discovered accidently in pursuit of knowledge? The ozone hole was discovered observationally at first, then a lot of effort went into explaining it, reaching some consensus, from which predictions could be made about its future, and what kinds of actions could help. This comment is about carbon capture and sequestration, CCS. Why do so many people state that CCS technology does not exist, when the MIT site linked below shows at least a dozen working plants world-wide on non-power plant sources? Is it because the CCS projects on power plants are not yet operational? There are two power-plant CCS projects under construction, one in Mississippi and one in Saskatchewan. See my post here on this from a few days age, Clean? Coal. All explained. Mississippi’s technically feasible because adjacent to depleted gas fields. It is a financial train wreck. Saskatchewan is being built for EOR, for example like that already in operation at Canada’s Weyburn field, or in Texas Permian basin. Adding it to power plants without a hand depleted oil or gas field is technically in feasible, and economically ruinous. Which isprecisely the EPA intent as openly written in their RIA for the proposed rules. Mr. Istvan, yes I saw your earlier post. I corrected your mis-statement in that post about nuclear plants. That post also prompted my comment just above, because there are multiple operating CCS plants around the world. EPA certainly can point to those operating plants as proof that they work. Also, having an oil field nearby has nothing to do with anything. Captured carbon dioxide can easily be converted to minerals, as Skyonic plants do. Also, Calera operates a concrete-from-CO2 process at a power plant in California. Roger Sowell: Captured carbon dioxide can easily be converted to minerals, as Skyonic plants do. “Easily” might be the wrong word here. The processes consume energy, usually more energy than the alternative processes. Mr. Sowell, Skyonic is a form of scam exposed in my last book, which you have evidently not read. One of four examples in the recognition chapter. Please understand the energetics and stoichiometry of using Drano (sodium hydroxide) to convert CO2 to soda ash, useful in glass making. Then please ask the question, from exactly where do we get all the needed Drano? The answer is by using electricity to create two of the most fundamental basic chemicals, NaOH and Cl2 (sodium hydroxide and chlorine), from salt in water via electrolysis. Now ask the question, where did we get the electricity to make the Drano? Unless from nuclear, the whole thing is worse than an energy and chemistry sequestration wash. And if you have that much nuclear, why waste it making Drano to scrub CO2 from fossil fuel fired plants, themselves inefficient thermodynamically. Best use the nuclear electricity directly, and forget about Skyonics. That the federal government tomthentine of $25 million ( and by proxy you) fell for this is just incredible. Please go rereview 11th grade high school chemistry. If that appears an insult, so be it. Get and read my book, which lays out all the thermodynamics and chemistry is painful detail. Rud Istvan: Get and read my book, which lays out all the thermodynamics and chemistry is painful detail. The two books that I see under your name on Amazon are called “Gaia’s Limits” and “The Arts of Truth”. I assume you refer there to “Gaia’s Limits”. It is available only as a Kindle. Can one get a hard copy or pdf? That is a strawman. No informed person says they don’t exist. What they say is the economics don’t stack up and they are unlikely to be viable in the future at the scale that would be required to sequester a significant proportion of the CO2 emissions from the world’s fossil fuel power stations. Tha tis the point. As I believe we discussed previously, nuclear is much cheaper, safer and in always (except political) more viable than CCS and renewable energy if the requirement is to generate a large proportion of the world’s electricity with low GHG emisisons. That is the key point. Strange that anybody could be observing Russia, Middle East, Nigeria, Venezuela etc and thinking only of how to minimally reduce a fragment of thin air. Or opposing properly sited nuclear plants because the future upper-middle class must have been marching and rioting for some reason back in the 80s. If the West hasn’t yet worked it out about energy diversity and independence maybe it deserves to become the New East. A related commentary: Why David Brat is completely wrong about climate science … further demonstrating that the cwon14 worldview is incompatible with a scientific worldview. It’s time for deniers of human-caused global warming to stop using an old magazine story [that I wrote] as ammunition against the consensus of today’s climate scientists. […] Opponents of Michael Mann and his fellow climatologists seek to highlight areas of disagreements among climatologists. Certainly those disagreements exist. But they don’t affect the reality that human activity is the primary trigger of warming in recent decades. There are three things we know about man-made global warming. First, the consequences will be terrible if we don’t take quick action to limit carbon emissions. Second, in pure economic terms the required action shouldn’t be hard to take: emission controls, done right, would probably slow economic growth, but not by much. Third, the politics of action are nonetheless very difficult. Think about global warming from the point of view of someone who grew up taking Ayn Rand seriously, believing that the untrammeled pursuit of self-interest is always good and that government is always the problem, never the solution. Along come some scientists declaring that unrestricted pursuit of self-interest will destroy the world, and that government intervention is the only answer. It doesn’t matter how market-friendly you make the proposed intervention; this is a direct challenge to the libertarian worldview. The fact that climate concerns rest on scientific consensus makes things even worse, because it plays into the anti-intellectualism that has always been a powerful force in American life, mainly on the right. It’s increasingly evident why young students of science, economics, and history (in particular) uniformly reject denialism, eh Climate Etc readers? The answer is simple: denialism ain’t rational, ain’t scientific, and (in the long run) ain’t viable. Older folks (especially) can embrace denialism for the short-term, without regard for the long-term, `cuz hey, they’re old! Young folks not so much. Thanks for pointing out the recent Krugman article. My guess is that we won’t see this feature in a main post, perhaps Week in Review, despite its relevance to all the main current topics. It should be read by everyone at least as a balance to the Hayward worldview which is typical of featured articles here. The above was directed to Fan. Threading is broke. Someone’s been naughty already. David H. Bailey, Jonathan M. Borwein, Marcos Lopez de Prado, and Qiji Jim Zhu (Notices of the American Mathematical Society, May 2014). Here “backtest overfitting” is a fancy name for the blend of cycle-chasing and cherry-picking that is characteristic both of weak science and of denialist cognition, both in economic analysis and in climate-change denialism. Sir Isaac Newton, scientist, master of the mint, and a certifiably rational man, fared less well. He sold his £7,000 of [South Sea] stock in April  for a profit of 100 percent. But something induced him to reenter the market at the top, and he lost £20,000. Read and learn! Beware especially of cycle-seeking economic/climate analyses that are not accompanied by explicit confidence limits. FOMD’s Promise No more bizarro-world “cwon14” compendia! This idea is the most modern – and powerful – in climate science and has profound implications for the evolution of climate this century and beyond. The idea was pioneered by a who’s who of climate science. Ding, Hui et al, 2013, have made major progress in predicting abrupt climate shifts based on analysis of the 1976/1977 and 1998/2001 climate shifts. Mojib Latif – Head of the Research Division: Ocean Circulation and Climate Dynamics – Helmholtz Centre for Ocean Research Kiel has commented publicly on the research. ‘The winds change the ocean currents which in turn affect the climate. In our study, we were able to identify and realistically reproduce the key processes for the two abrupt climate shifts. We have taken a major step forward in terms of short-term climate forecasting, especially with regard to the development of global warming… However, ‘since the reliability of those predictions is still at about 50%, you might as well flip a coin.’ Numerical prediction of climate shifts using powerful climate models is now as accurate as tossing a coin – although perhaps we should not make light of such a difficult problem in climate science. Abrupt climate change in the modern record explains observations that have been a puzzle for decades – notably the Pacific climate shift of 1976/1977. Tsonis et al 2007, used a mathematical network approach to analyze abrupt climate change on decadal timescales. Ocean and atmospheric indices – in this case the El Niño Southern Oscillation (ENSO), the Pacific Decadal Oscillation (PDO), the North Atlantic Oscillation (NAO) and the North Pacific Oscillation (NPO) – can be thought of as chaotic oscillators that are nodes on the network of the global climate system. The indices capture the major modes of climate variability. Tsonis and colleagues calculated the ‘distance’ between the indices. It was found that they would synchronize at certain times and then shift into a new state. It was noted that this was the first time that the mechanism – that is consistent with the theory of synchronized chaos in networks – was observed in a system the size of Earth’s climate. Swanson and Tsonis, 2009, extended the research to the most recent climate shift at the turn of the millennium. It is no coincidence that abrupt shifts in ocean and atmospheric circulation occur at the same time as changes in the trajectory of global surface temperature. Our ‘interest is to understand – first the natural variability of climate – and then take it from there. So we were very excited when we realized a lot of changes in the past century from warmer to cooler and then back to warmer were all natural,’ Tsonis said. Four multi-decadal climate shifts were identified in the last century coinciding with changes in the surface temperature trajectory. Surface warming from 1909 to the mid 1940’s, cooling to 1976/77, warming to 1998 and cooling post the 1998/2001climate shift. The multi-decadal climate shifts correspond precisely to changes in Pacific Ocean circulation, and in global hydrological patterns. The multi-decadal Pacific Ocean pattern can be seen in ENSO proxies for up to 1000 years (Vance et al, 2012). Abrupt changes between multi-decadal rainfall regimes were observed in river morphology in Australian rivers in the 1980’s (Erskine and Warner, 1988) and have been a cornerstone of Australian hydrology since – (e.g. Micevski et al, 2006, Power et al, 1999, Verdon et al, 2004). In theory we then have a mechanism – albeit a complex one – that better explains abrupt shifts in paleoclimatic and modern records than a paradigm of slow responses to changes in forcing. The abrupt shifts in Pacific Ocean circulation involve changes in the PDO in the north-eastern Pacific and coincident changes in the frequency and intensity of ENSO events. Increased frequency and intensity of La Niña occur with a cool mode PDO and vice versa (Verdon and Franks, 2006). The change in ocean circulation is associated with changes in wind, currents and cloud that change the energy dynamic of the planet. Cool decadal modes cool the planetary surface and warm modes add to the surface temperatures. A typical cool mode pattern is a cool ‘V’ across a significant part of the global tropics. 1. The duration of such shifts over 1000 years – 20 to 40 years. 2. It may be more speculative to imagine that the hiatus will finish early – or that it will necessarily shift to yet warmer. 3. It may be superimposed but how big are the multi-decadal shifts? 4. The failure to entertain the possibility is the defining characteristic of the Borg collective cult of AGW groupthink space cadets. You can quote science all day – it makes no difference at all to the cartoon capers – mad rants about libertarian conspiracies typically – of the Borg collective. It is why they have lost the game and the plot. Skippy, I didn’t read it all, but I do agree with this sentence that you quoted. “Moreover, we caution that the shifts described here are presumably superimposed upon a long term warming trend due to anthropogenic forcing.” This is the key point in my view. The key points are listed for your convenience Jimbo. 1. The duration of such shifts over 1000 years – is 20 to 40 years. Micky Skippy, if you are going to quote warmists, you need to also be aware of what else they say in their papers, not cherry-pick. Strong multi-decadal shifts also imply stronger sensitivity because your hoped-for negative feedbacks just aren’t operating in either case. Jimmy Dee old lad – you ignore that I have quoted this many times – you assume that everything is a feedback to CO2 – and you assume that climate sensitivity is linear. All cartoon science we have come to expect from you. leaving open the possibility of steady or even declining global mean surface temperatures over the next several decades that could present a significant empirical obstacle to the implementation of policies directed at reducing greenhouse gas emissions (27). However, global warming could likewise suddenly and without any ostensive cause accelerate due to internal variability. Ghil’s model shows that climate sensitivity (γ) is variable. It is the change in temperature (ΔT) divided by the change in the control variable (Δμ) – the tangent to the curve as shown above. Sensitivity increases moving down the upper curve to the left towards the bifurcation and becomes arbitrarily large at the instability. The problem in a chaotic climate then becomes not one of quantifying climate sensitivity in a smoothly evolving climate but of predicting the onset of abrupt climate shifts and their implications for climate and society. The problem of abrupt climate change on multi-decadal scales is of the most immediate significance. that a more variable climate is a more sensitive climate to imposed forcings (13). Viewed in this light, the lack of modeled compared to observed interdecadal variability (Fig. 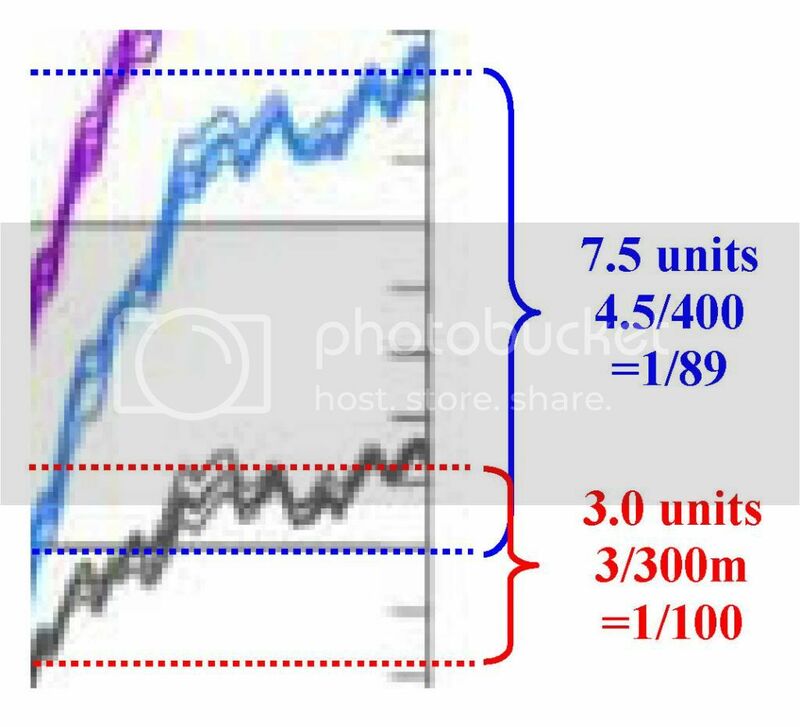 2B) may indicate that current models underestimate climate sensitivity.” Quit while you’re behind. Finally, the presence of vigorous climate variability presents significant challenges to near-term climate prediction (25, 26), leaving open the possibility of steady or even declining global mean surface temperatures over the next several decades that could present a significant empirical obstacle to the implementation of policies directed at reducing greenhouse gas emissions (27). Like I been saying … but with zilch understanding from the Borg collective. MM, it is that steady increase that matters in the long run, not all the other stuff. 0.2 C per decade, or 0.3 later, may not seem very impressive compared to an El Nino or PDO cycle, but it adds up the way these don’t, which is why I would pay more attention to it, plus sea-levels, Arctic ice trending with it. Don’t lose sight of the big picture for the century to come by sweating the small stuff. Swanson and Tsonis, 2009, suggest that decadal surface cooling and warming results from a change in energy uptake in the deep oceans or a change in cloud and water vapour dynamics. Both seem likely. In the simplest case the cooler or warmer water surface loses less or more of the heat gained from sunlight and so the oceans warm and cool. In the latter case – cloud cover seems increasingly likely to be a significant factor in the Earth’s energy dynamic. Loeb, 2012, shows that large changes in the Earth’s energy balance at top of atmosphere occur with changes in ocean and atmospheric circulation. However, CERES commenced operation just after the 1998/2001 climate shift. Earlier satellite data (International Satellite Cloud Climatology Project (ISCCP-FD) | NASA) shows a substantial step increase in cloud at the turn of the century. Pallé, 2009, made photometric observations of light reflected from the Earth onto the moon from 1998. Short term changes in global reflectance is for the most part cloud changes. A climatologically significant step increase in albedo was observed at the turn of the century. So decades of cooling – and the potential for big swings either way after that. Jimmy Dee’s cartoon science fails yet again. This [MAFFIA] site was created out of growing concern with the usage of less-than-fully rigorous mathematical and statistical methodologies in the financial/investment world. One example is the increasing prevalence of backtest overfitting, due in part to the ease of generating large numbers of model variations (more than statistically justified) using modern computer technology. Indeed, such statistical errors are likely the primary reason that investment strategies which look good on paper often fall flat in practice. We are also concerned with the proliferation of quasi-mathematical investment advice and financial columns in the past few years, which appear to be based on sophisticated mathematics and statistics, but which, upon more rigorous analysis, are at best questionable. We encourage the reader to search the Internet for terms such as “stochastic oscillators,” “Fibonacci ratios,” “cycles,” “Elliot wave,” “Golden ratio,” “parabolic SAR,” “pivot point,” “momentum,” and others in the context of finance. Although such terms clearly evoke precise mathematical concepts, in fact, in almost all cases, their usage is at best scientifically unsound. Historically scientists have led the way in exposing those who utilize pseudoscience to extract a commercial benefit. Even in the 18th century, physicists exposed the nonsense of astrologers. Yet mathematicians in the 21st century have remained disappointingly silent with the regards to those in the investment community who, knowingly or not, misuse mathematical techniques such as probability theory, statistics and stochastic calculus. Our silence is consent, making us accomplices in these abuses. This blog and website were established with these concerns in mind. Nonetheless, our approach here is not one of confrontation, but instead one of research to better understand and mitigate these difficulties, education to assist other professionals in the field, together with unbiased testing and analysis. If you identify with our concerns, let us know and spread the word. Together we can make a difference. As with financial forecasting, so with climate forecasting, eh Climate Etc readers? Judith Curry, you and your students are well-positioned to do the world of climate-science *AND* the world of conservatism *BOTH* an enormous service, by applying MAFFIA standards of rigor to decadal-scale climate-prediction in general, and stadium-wave models in particular! The MAFFIA List of Quotations on Science and Mathematics especially will be inspiring to Climate Etc readers! This idea is the most modern – and powerful – in climate science and has profound implications for the (discontinuous) evolution of climate this century and beyond. This is an idea that was pioneered by a veritable who’s who of climate science – and undoubtedly represents the future for the discipline. It recognizes what we have always known – climate changes naturally and substantially – and defines a mechanism by which the system – when pushed past a point – starts to evolve abruptly by internal processes alone. In the true sense of science – it better explains climate data and suggests at least limited predictability. It seems more likely than not that the current surface temperature hiatus will continue for decades hence – but this comes with an inherent instability in the system. Cartoon non-science from the world of finance notwithstanding. You’re way behind. 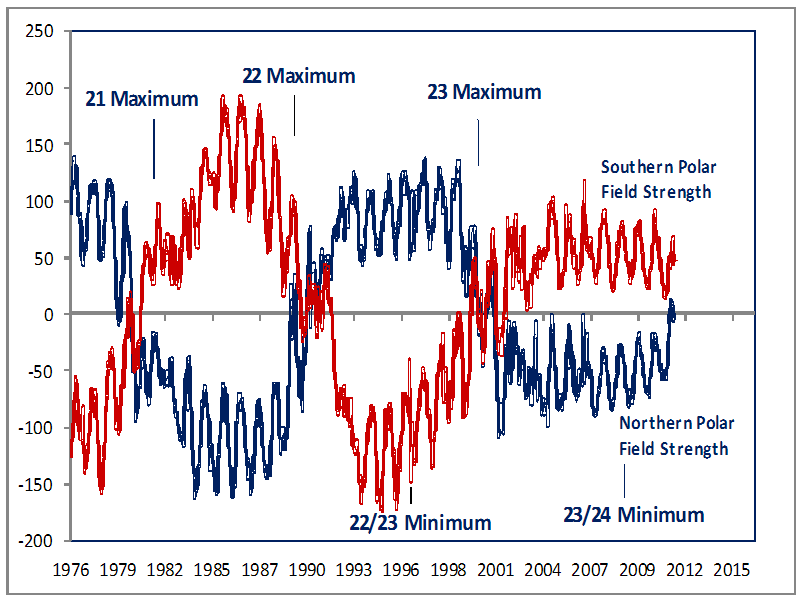 The back-to-back La Nina events starting in 2011 constituted an abrupt change. Tried to tell you. You’re just as hard/wrong headed as every other libertarian. Rud Istvan, my colleagues and I live upon from a rather small planet — which however is an unusually friendly and peaceful planet — upon which mathematics, physical science, and centuries-old Enlightenment objectives have historically trumped selfish economic interests, juvenile economic ideologies, and short-term political expediency. Only about ten million people live upon our planet — of all nationalities, ages, and genders — and yet collectively we exert a very considerable influence, and over the centuries we have originated a great many prosperous enterprises. Come and visit us some time, Rud Istvan! It is not sensitivity defined as a response to doubling of CO2. Dynamic sensitivity implies the potential for a small push to initiate a large shift. Climate in this theory of abrupt change is an emergent property of the shift in global energies as the system settles down into a new climate state. The traditional definition of climate sensitivity as a temperature response to changes in CO2 makes sense only in periods between climate shifts – as climate changes at shifts are internally generated. Climate evolution is discontinuous at the scale of decades and longer. It is more than time to change the definition – as you have said. However, if warming from CO2 pushes the system over an edge and large change results – it might reasonably be termed high sensitivity. I am finishing today a formal review article – from which I have been quoting. We will see how it fares. The he dumb bunny point; if strong multidecadal shifts do occur, a huge cooling one may have begun in 1975 and so all the heating observed since means that climate sensitivity could be huge. Well in 1976 the climate shift was associated with the warm phase of the PDO. Yes – it seemed obviously a warming shift. Although different mechanisms at different scales seem likely. Swanson and Tsonis (2009) suggest that decadal surface cooling and warming results from a change in energy uptake in the deep oceans or a change in cloud and water vapour dynamics. Both seem likely. In the simplest case the cooler or warmer water surface loses less or more of the heat gained from sunlight and so the oceans warm and cool. In the latter case – cloud cover seems increasingly likely to be a significant factor in the Earth’s energy dynamic. Loeb (2012) shows that large changes in the Earth’s energy balance at top of atmosphere occur with changes in ocean and atmospheric circulation. However, CERES commenced operation just after the 1998/2001 climate shift. Earlier satellite data (International Satellite Cloud Climatology Project (ISCCP-FD) | NASA) shows a substantial step increase in cloud at the turn of the century. Pallé (2009) made photometric observations of light reflected from the Earth onto the moon from 1998. Short term changes in global reflectance is for the most part cloud changes. A climatologically significant step increase in albedo was observed at the turn of the century. And while the PDO has turned slightly positive in the past few months – http://web.atmos.ucla.edu/tcd//RESEARCH/enso_regrfcst.html – there is no sense in which this is inconsistent with a cool mode. And the north east Pacific seems to be cooling again. The cool modes do last 20 to 40 years. Ultimately this might all not show up in ocean heat – not just not the surface temp. If clouds dominate – as they seem to. Waves are an example of a simple system that shows abrupt change. Take out the big shifts in 1976/77 and 1997/1998. The Ghil 2013 statement makes sense to me. What doesn’t make sense is the need to invoke “sensitivity” into the discussion particularly at “tipping” points. That is, at tipping points, small, almost unmeasurable forces will lead to climate regime changes. That the climate system is at tipping points is more sensitive. Powerful forces cascading through large systems. I am thinking of “rouge” waves. Sea and wind forces combining to produce a massive and unpredictable change, out of the ordinary, apparently more common than originally thought now that they can be seen from space. For rouge waves, it does’t seem necesary to invoke fragile or sensitive tipping points; forces combine and then there is change. Of course I could be missing a few things. But was it predicted, projected, expected, or somewhat anticipated at some point in the midst of a nightmare? Actually, strong multidecadal shifts, if caused by natural internal variability, do not imply stronger sensitivity. If only we could clearly separate out natural internal variability from the influences of external forcing, eh? Skippy Ellison has taken yet one more name? Why Skippy? Why why why?! Jim D: Thank you for your comment on the ozone hole. It appears that you agree with me that a scientific theory starts with a search for knowledge and then follows with an effort to validate the theory. Krugman contradicted himself. On the one hand he states that Big Coal (not government environmental regulations) caused it’s own demise and reduction of jobs. On the other hand he is claiming that only government can solve the climate problem and that makes libertarians anti-science. It’s an irrational arguement. I have total contempt for Krugman. Several years ago he abused his position as a noted economist when he stated on air that the Republicans wanted to steal from the Social Security Fund. As an economist, he had to know that it was impossible to steal from that fund, that it was a fund in name only. He Lied! Think about free market capitalism from the point of view of someone who grew up taking Karl Marx seriously, believing that the untrammeled pursuit of central planning control over everything is always good and that government is always the solution, never the problem. Hey it worked for the USSR, Communist China, Cambodia, Cuba and Venezuela (where they are running out of drinking water, food and even toilet paper) and oh btw the Castro and Chavez families have amassed fortunes topping $2 billy. The statists just need to admit that their model society for dealing with global warming errrrr climate change errrrr climate chaos is North Korea. doesn’t make today’s climate scientists wrong. That is correct. It shows that you are an alarmist who transitions from one alarmism to another alarmism with next to no evidence in support of either. Allan Bloom in “Closing of the American Mind” describes how young people would arrive at his university with beliefs that couldn’t logically be defended and would graduate no better off; their professors guided by ideology instead of truth. History was re-written to agree with the ideology of the professors. – Bloom passed away long ago and was a highly respected, and Liberal, educator and writer. I don’t think that attitude works. Have you tried being nice to people you don’t agree with? Today in this thread you posted a current opinion by one of the writers who wrote about that “myth” of global cooling, right when major opinion leaders like Paul Ehrlich and Stephen Schneider were actively promoting it. Your links rarely support your claims of them, and David Brat is not “completely wrong” as claimed by Grist. But you have seldom contradicted yourself so clearly on a single thread. The Orwellian left defining “science”, again. AGW is a political culture meme not a conspiracy even if the results often look similar. Yet another technology that could use electricity directly from solar PV, without any transmission or inverter technology needed. Low voltages all around. The big problem with low voltages is that transmission losses are inversely proportional to the square of voltage. What transmission losses? Over a few dozen meters? Just hook the PV cells in series till they add up to a few hundred volts. Doing the same for these “acidification cell”s might require some clever design to keep them isolated, but nothing especially difficult. If needed. If they’re in the ocean then it will be a lot more than a few hundred metres, and even over a few hundred metres you need thousands of volts for efficient transmission of large amounts of power. A few dozen meters. Just enough to connect a few hundred square centimeters of solar PV (concentrated x2000) with a set of “acidification cell”s. Maybe only a few meters. Everything small. Lots of them. Mass produced, and replaced as individual units wear out. How much power are you expecting to be produced? Let’s see your fully supported cost estimate, AK. The process consumes 242 kJ per mole of CO2. Assuming these number are correct, (and there are several good reasons to assume they are,) this means the energy cost of extracting CO2 is small compared to that of producing H2. This is good news. Swanson’s “law”, actually just an hypothesis at this point, suggests that as the yield per dollar spent on solar PV has been increasing roughly exponentially for several decades, we can expect it to continue. My interest is: if it does, what new technologies will contribute to that cost reduction, and what technologies will contribute to making effective use of the reduced cost. One obvious point is that the inverter and transmission technology needed to carry energy from the silicon to the grid is very unlikely to experience a similar cost reduction. It’s all mature technology. But other people have already found an ideal way around this: use electrolysis to convert the electrical energy to hydrogen (H2), and convert it back to electricity using fuel cells. We can reasonably expect the cost of hydrogen/air fuel cells to continue to drop, although perhaps not as fast as solar PV. The actual energy losses aren’t all that great (no time to find a link now, but there are plenty out there). But when I consider the issue of technology to store and transport that H2 I become very skeptical. That’s been worked on since the ’60’s, and there are serious stumbling blocks I just can’t believe can be overcome for a very long time. Maybe it works for space rockets (with caveats) but cars? Or even commercial aircraft? No. What to do with the hydrogen? The obvious answer is to convert the energy in H2 into some form where the technology is already mature and cheap. Methane works. So do aliphatic hydrocarbons. The technology to store, transport, and generate power from these products is already mature. What about energy efficiency? Well, as long as we consider the energy content of the produced fuel it’s cost effective. And the baseline assumption is that the cost of solar PV will continue to drop, so at some point such technologies will be cost-effective despite the losses. At this point, what I’m looking at is innovative designs that can take advantage of other on-going cost reductions, especially Moore’s “law”. Note that I’m already assuming that solar PV costs will continue to decrease exponentially. Not because I consider it a certainty, but because it’s built into the scenarios I’m examining. And that large collection of similar scenarios would have the advantage that they could enable a “full speed ahead” use of methane and liquid hydrocarbons now, because investment in that technology would continue to pay for itself after the source switches from fossil to carbon-neutral. The entire receiver combines hundreds of the chips and provides 25 kilowatts of electrical power. Assuming ~1000W/meter^2 (for 8 hours/day) that works out to about a 6 meter collector. I think that’s too big, so I’m assuming something a little smaller, but in the same order of magnitude: a 3 meter collector works out to 6KWatts max, 2KWatts average (assuming almost constant sun). Given 50% losses between the receiver and the output of a combined cycle gas or oil turbine, that means one unit counts for 1 KWatt delivered to the grid wherever needed. In a recent comment I extracted from relevant numbers from a report (linked there) for estimates of current capital costs for various power technologies. For Combined‐Cycle (GAS) Technology $1230/kW, which compares well with Pulverized Coal‐Fired Power Generation at $2890/kW. This leaves $1600/KW for all the technology needed to produce gas or liquid fuel from solar power. Could the price (delivered to the power-generating region) be brought down to this level, given exponential reductions in price for PV? Perhaps. I’m not interested in empty debates whether it could, I’m interested in what technology, and designs using it, would be required. A terraWatt of power delivered to the grid, in this estimate, would require a billion solar units. Assuming them to be on a 10 meter grid (you need to leave plenty of space to get full generating capacity for 8 hours), you could fit 10,000 into a square kilometer, so you’d need about 100,000 square kilometers of the planet’s surface. Those are very good numbers. Swanson’s “law”, actually just an hypothesis at this point, suggests that as the yield per dollar spent on solar PV has been increasing roughly exponentially for several decades, we can expect it to continue. Why is my comment in moderation? Just one link, and AFAIK no forbidden words. Thanks! The comment I linked to also went into moderation. Do you suppose it doesn’t like mention of a certain law? I especially like the Red Tail on the Mustang. I like the concept of using excess energy (when there is any) to make fuel from CO2 and H2O. If scaled up, I can see how this might be useful to an aircraft carrier on deployment, where the cost of jet fuel will always be less than the cost of getting sunk. I ask someone who is a military analyst about this and this is roughly what he said. The actual advantage for a carrier task force would be minimal. Firstly, you would not place the synth-plant on the carrier as they are crammed full as it is and the idea of having more volatile/flammable/explosive plumbing is a no-no; so you would need nuclear vessels that would replace the fleet oilers. Secondly, fleet oilers could theoretically be replaced with nuclear synth-ships but the USN is going to be buying a whole bunch of double-hulled fleet oilers over the next decade and these will have a 30 year life span so the introduction would be in about 2045 at the earliest. Thirdly, these, nuclear powered, ships would have to be armed and have armed marines on board, unlike the present day fleet oilers. so manning cost would be higher of their full life. Currently, service personnel are expensive and are projected to become more expensive. The USN want less manning and more civilians in their supply chains. Finally, these ships can only have a single role, they will not be able to visit the majority of the worlds ports which are closed to nuclear vessels, they cannot pop in to a commercial ports and pick up perishables, which the present day oilers can and do. Doc Martyn, good comments. I expect the analysis will be different in 10 years if the devices are made small, efficient, and cheap. The two carriers that I have spent time on are the Midway (retired) and the G. H. W. Bush. In extremis, for small, cheap, efficient devices, there is space. Everything hinges on how well the devices can be developed. I can’t see the devices being useful on land in my lifetime. I bet before this is viable there will ships capable of scooping methane hydrates off the sea floor. The current navy work is significant in putting such methods into hardware. With its nuclear reactors, the navy could synthesize the fuel it uses. It is a hopeful sign. Nothing more. NanoCarbons got almost $2 million in ONR funding in late 2007. Was beyond successful concerning all program objectives for enhancing one minor form of energy storage. And is still not in production all these years later. Give anyone enough nuclear energy (heat and electricity) and anybody can work about any kind of alchemy, as here. But will it fly in the marketplace in the future? Skyonics (posted above) is a great example of what cannot. Thanks Judith. Some readers will have seen comments on earlier threads about making jet fuel from sea water on board nuclear powered aircraft carriers. The US Navy study was for 100,000 gallons per day and they estimated $3-$6 per gallon using current technologies and hydrolysis to produce the hydrogen. The costs would be much lower using high temperature nuclear reactors which produce hydrogen directly. Follow the links to the US Navy research paper. It should be noted that although the original paper is for just fuel, the process can also produce diesel and petrol/gasoline. What’s important about this is that it demonstrates there is a technically viable way to produce unlimited quantities of effectively emissions free transport fuels for ever! There is of course a large from the time the CO2 is extracted from sea water, burnt and released to the atmosphere and returned to the sea. It figures that people like CWON are here and condoned by the other “skeptics”. His reference to “Prison Planet” puts him squarely in the Alex Jones camp of conspiracy theorists. As if Agenda 21, the call for the U.N. to collect global taxes, global uniform carbon regulations aren’t documented? A Prison Planet is the whole point to be avoided. When do the “Koch brothers” and “big oil” reenter your non-conspiracy, deeply scientific assessment? Is climate science one of a kind? What other fields comprise such a collection of unrelated topics as if it were one. Astrophysics? Gravity, nuclear physics, thermodynamics, radiative transfer. I thought of that, but astrophysics doesn’t go together quite the same way. Something can fail and it doesn’t ruin everything, if I can put it that way. The unifying connections are much different. Climate change doesn’t take the earth’s system outside of what we know about from weather. It is a small percentage of an annual cycle at a typical location, or the pole-equator temperature difference. To the extent weather is globally understood and modeled, climate change can be because it is within the operating limits of these models. It is not like we are changing to Venus or something. Biology covers everything from physics, including quantum physics (tunneling, of both electrons and protons/deuterons in enzymes), organic, inorganic, synthetic chemistry, geochemistry, biochemistry, thermodynamics, kinetics, control theory, statistical methodology, game theory, ecology, and pretty much everything. If you have a brain tumor you will have at least a CAT scan and MRI, probably a fMRI, the surgeon will use a 3D model reconstruction to work out the best route, the surgeons will probably use a da Vinci Surgical System or similar cybernetics system, then you will get radiotherapy using external and possibly radiation sources, then be given chemotherapeutics developed in labs by cross-disciplinary trained individuals, made by microbiologists/synthetic/industrial chemists and independently tested by analytic chemists. But you would have to define what you mean by unrelated. What I mean for example is I can’t imagine that a research vaccinologist and clinical psychologist are unlikely to have any expertise or skills that are transferable between the two disciplines except at the grossest and most superficial level. Radiation is approximately proportional to T^4, the Stefan-Boltzman equation. Pierrehumbert says that the error in the approximation is about 10%, a topic for another post. Say that the temperature increases by 1k from an initial T0, then the difference in radiation is approximately proportional to delta(T^4) = 3T0^3 + 6T0^2 + 3T0 + 1. Nobody truly expects the increase due to CO2 to be the same everywhere, but the standard equilibrium assumption treats T0 and the change in T as constant, so an example with a uniform increase in 1K with varying initial temperatures is not far from what they do — at worst, slightly more accurate than assuming both T0 and deltat to be uniform. For positive T0 (and for all positive values of deltat, even if they not be all the same), the function deltat(t^4) is convex, so its mean value across the spatio-temporal distribution of T0 is greater than the value obtained by substituting the meanT0 in the equation of deltat. That’s Jensen’s inequality. How much more can’t be known without knowledge of the spatio-temporal distribution of T0. The greater the variance of the spatio-temporal distribution of T0, the greater the difference between mean(delta(T^4)) and delta(meanT^4). Consequently, the standard calculation underestimates the increase in radiation resulting from a CO2-driven increase in T; unless here and there or now and then the CO2 results in a decrease from T0. To be complete, this presentation requires subscripts for the 3 dimensions of space, and for at least two times: season and daytime: T0(i,,j,k,s,d) deltatT(i,,j,k,s,d)and so forth. This elaborates a point made months ago on approximation error by WebHubTelescope, that small errors (eps) in estimating T produce errors proportional to eps^3 in the estimation of T^4. Integrated across the distribution of temps on Earth, using the meanT as the “equilibrium” value entails non-negligible underestimates of the increase in radiation induced by small temperature increases. Notice that, at 288K. 3(T^3)/(T^4), is 3/288, a larger error than the calculated increase in T assuming a sensitivity of 1.3K – 2.6K per doubling of CO2. I am not the first to notice this. Plenty of people have written that working with deltameanT, deltamean rainfall, etc instead of the distributions of the changes over the Earth’s space and time entails non-negligible errors. By Jensen’s inequality, the errors are not benign, and lead to overestimates of the change in T required to produce equilibrium; the errors being larger than the calculated values themselves. Ah nuts! I knew it felt wrong. It’s 4T^3 + 6T^2 + 4T + 1. A little more complicated if deltaT =\= 1. Radiation is approximately proportional to T^4, the Stefan-Boltzman equation. Wrong! Do you want to try to figure out your own error? Or do you want me to tell you? AK: Wrong! Do you want to try to figure out your own error? Or do you want me to tell you? But make it a good explanation, not some fantasy. Simple enough: you left out an important adjective: Radiation of a black body is approximately proportional to T^4, the Stefan-Boltzman equation. Greenhouse gases distributed in the air are very far from a black body. (Although, for purposes of thermal IR terrestrial solids and liquids pretty much are. Including water/ice.) The radiative response of the air with GHG’s in cannot be calculated so simply, which is why there are complex line-by-line calculation programs to do it for more complex models. AK: you left out an important adjective: Radiation of a black body is approximately proportional to T^4, the Stefan-Boltzman equation. Everybody knows that the Earth is not exactly a black body. The evidence presented in the texts shows that the Earth radiates approximately as predicted by the black body laws. If you have contrary evidence, I would like to read it. Notice that my little development shows that the standard calculations underestimate the radiative response of the Earth to a small temperature increase. So if the basic assumptions are accurate enough for the uses proposed in the standard texts, then the calculated result has an additional inaccuracy due to ignoring the variation in temps and temp changes in space and time. And the inaccuracy has a clear bias: the standard calculations overestimate the temp increase necessary to restore approximate balance to influx and efflux of radiation. As with the other approximation errors I draw attention to, the size of the error can not be calculated on present knowledge. oops twice. the threading does appear to be broken. Those were amazing quotes by CWON that Fan gathered. I began ignoring CWON as I came to realize that he actually doesn’t do any science, but to see all those rant fragments in one place shows the rabidity of the ultra right wing. Or is CWON just an Alex Jones-style “false flag” operation? They have it covered either way, doncha know. Adam Curtis wrote a thought provoking BBC documentary on ecosystems in 2011, which could not be shown in the U.S due to copyright issues. Well worth watching. I agree, making predictions is not the purpose of science but is used in the methods of science. The word science is bandied about carelessly and is difficult to define. It comes from the Latin word “sciare”, to know. The purpose of science then is to try to know something. There are several ways to attempt know something but to know in the scientific sense is to have used the methods of science to reach that goal. The beauty of scientific knowing is that it can be disproved. Personal or revealed beliefs cannot be disproved although predictions derived from beliefs, e.g., “The world will end tomorrow” can, and will be proved or disproved by the passage of time. A widely reported “pause” in global warming may be an artefact of scientists looking at the wrong data, says a climate scientist at the European Space Agency. “It is like looking at the last hair on the tail of a dog and trying to decide what breed it is,” he said on Friday at the Royal Society in London. “The models don’t have the skill we thought they had. That’s the problem,” said Peter Jan van Leeuwen, director of the National Centre of Earth Observation at the University of Reading. R. Gates scores a goal. The oceans hold a leash. On that leash is the GAT. It seems they can total the OHC and tie it to TOA. It’s the easier accounting problem. The ocean is indeed a key to understanding climate change as the climate will not change unless the ocean changes first. The ocean drives the atmosphere and global weather. As goes the ocean so goes the climate. It is thermodynamically impossible for this not to be the case. And when we look at the ocean, SST’s are the least most important part of ocean heat content. SST’s tell us more about the rate of energy flux between ocean and atmosphere than about ocean heat content. So the SSTs can go against the TOA when transferring heat at a new rate. In the scatter plot that’s why that relationship is weaker. So higher SSTs show the oceans attempting to cool. If the Poseidon had a motto it would be, when too warm give off heat and when too cold, retain it. The hiatus is Poseidon doing what he’s always done. Protecting his realm. Thanks for the sst update and the nice graph. It looks like were in a tighter (less anomolous) formation right now than the recent past. Ragnaar, please identify what sea surface temperature dataset (HADISST, HADSST2, HADSST3) and what ocean heat content dataset (UKMO EN3, NODC, JMA) were used by Palmer et al. (2011). I checked. I can find no mention of an observations-based dataset. Palmer et al. use the word “data” for the outputs of climate models. If Palmer et al. (2011) was simply a climate model-based study, it has no value, because climate models cannot simulate sea surface temperatures. No Data. I thought is was illustrative of the models. The fuzziness of the scatter plot trying to do the more difficult task. I would agree. They have the wrong sign 30% of the time with a model. ENSO is actually a very simple system, tied to the much more periodic QBO. The erratic nature of ENSO comes from a sinusoidal non-linear interaction between the two. I see no reason not to read both. Thanks for the info and I’ll look for the that future info when posted. Every description of every ENSO process that I present is supported by data. So we have no reason to believe any present or future data presentations you might dream of. Have a good day, WebHubTelescope. PS: Another indication you can’t grasp simple processes. Until you, WebHubTelescope, understand the processes that drive ENSO, your data torturing is meaningless. I’ve said Tisdale is in the right place, the ENSO region, the middle of the Pacific. I’d ask you to consider if ENSO is a result of everything in the system? Closer regions would have more of an impact in general. was mentioned as a source of calibration data. I had a quick look at the spectral composition of the temperature and precipitation data during the last 100 years (data goes back to 1864). Precipitation spectrum appears to confirm the Svensmark’s hypothesis, but again the result may be unique (station’s altitude is 1800m asl) and may be scientifically not significant. Notice the rather modest claim, and the admission that they had not in fact produced any fusion in the device. Unlike some others in the field, these scientists do not claim that a working prototype will be available in the near future. The Pons-Fleischman and Ecat devices mentioned a few days ago are distractions from the scientific research. Thanks for the reminder. I read about them some years ago. Again notice how modest their claims of progress are, and how much work for years they plan to engage in before they even have a working prototype. The kid’s a hoot – but has he had decades of experiments and theory working towards working towards fixed goals. Jo Nova should be interesting during the next couple of weeks, as a theory of global warming is presented. That’s just the start of his conspiracyThinking. You can look up the rest. I am sure the climate model will be a purely objective piece of science. Keep up the tradition of the warmists and attack the person instead of the science. Of course that is why you are losing the public relations war. When the paper comes out then show us what you are made of and discredit the work. If you can. Sounds like you have P-envy. Along with his PhD , he has numerous other degrees. When will you ever learn what science is all about. Web, just wiki the rothschild family. They are still pretty rich no secret there. Where do they find these people? Who are ‘they’ and what people are you talking about? You sound paranoid. Are you looking for boogy men? I suspect much will be made of this but little actual science will be present. I hope I am wrong. Go to part two, go to the bottom, download and read the attached 44 page document on advances DE made to Fourier analysis in order to develop and validate the alternative model he has not yet revealed. That by itself is a DSP advance of considerable utility outside climate research by removing a fundamental limitation with DFT at the expense of noninvertability.and he has documented the mathematics, written VBA code (runs in EXCEL), and tested the code on a series of synthetic data sets. A major new data analysis tool has been developed that does some thing that to my imperfect knowledge could never be done before. So many people have noted the absence of the 11 year solar cycle in the temperature record. There should have been one. Using the data to determine the transfer function is just so logical. Hats off to Jo’s hubby. Can’t wait for the next posts! I also like Lindzen’s approach of looking for (physical) degrees of freedom in the climate system response to a forcing. That approach could bear fruit. Mr Kahneman deserved his Nobel prize just like Yasser Arafat, Al Gore, Barack Hussein Obama, and Michael Mann. Did Mr. Mann show you his? Did he remove the Walmart sticker? It’s not just Kahneman, Princeton Nobel laureate Paul Krugman also puts out crap several times a week in the NYTimes opinion pages. Boy, is he wrong about that. If researchers have not set out sufficient disclosure to allow independent self replication of a paper’s results, then they have not adequately disclosed period. A fundamental tenent of the scientific method. Seem Obama’s proclaiming “climate change denial” is akin to saying moon made out of cheese. Not so sure about the moon, but little doubt what Obama’s brain is made of. Good thing he’s living up to his promise to unite rather than divide. They seem to be eating their own. Obama Is Funding the Kochs’ War on Democrats – By about $2 billion/year! Between 2010 and 2012, the volume of heavy Canadian crude imports into that region rose nearly 45 percent. As a result, the price of that heavy oil sells at a significant discount, giving refiners in the region a windfall spread between their feedstock costs and the price they can charge for the products (like gasoline and fuel oil) they produce. Last year the gap approached 40 percent in some months; recently the differential has been closer to 20 percent. . . .
if the Keystone Pipeline were built, the gap between the prices of oil sands crude, denoted as Western Canada Select or WCS, and WTI would narrow. – . . . The Pine Bend refinery, owned by Flint Hills Resources, a division of Koch Industries, can process 320,000 barrels of oil each day. About 80 percent of the oil it processes comes from Canada’s tar sands making it the largest refiner of Alberta heavy crude in the U.S.
Last year the average price gap between oil sands crude and WTI was $ 25, meaning the Kochs’ plant raked in as much as $2 billion of extra revenues – in just one year. That buys a lot of political attack ads. . . .
California, the greenest state in the union, has jacked up its imports of oil from Canada — via train, the transport method that is arguably the most threatening to the environment. According to Bloomberg News, California imported more than 700,000 b/d of Canadian crude in Q1, up from 90,000 b/d last year. 1. The heavy oil blend they ship from Canada is low quality. Therefore it takes a price hit. 2. On top of the quality hit the Canadian heavy blend also suffers from the oversupply hit because it has difficulty getting to the market. 3. The Midwest refiners benefit from the oversupply hit differential, they don’t benefit from the quality hit, thus the extra refining margin should only be credited to the lack of transport capacity. 4. If the Canadian crude reaches Oklahoma then it can access refineries which process similar Venezuelan heavy blends. 5. Because the Canadian crude is already onshore in the US this will displace the nearly identical Venezuelan blends. 6. However, these are blends. The heavy crudes from both Venezuela and Canada are similar. But the diluent used to make the blend can be quite different, and I suspect both suppliers are changing their diluents over time. 7. The displaced crude (mostly from Venezuela) will take a price hit. These crudes are high sulfur highly acidic and some refineries can’t take much of this stuff. It may end up in China or India as far as I know. Europe isn’t so good because European refineries aren’t keen on high acid high sulfur. Plus some Venezuelan products are highly unstable due to poor hydrogenation. Anyway, this can be quite complicated, I just wanted to point out those articles and reports you read don’t present a full picture. Transporting by rail from mid continent to coast enables a $10/bbl benefit to refineries over international Brent crude. ie because of the transportation bottleneck. “Blends:” “Dilbit” is needed to reduce viscosity of bitumen (aka “oil sands”) to get it to flow. The dilbit must be replenished and usually returned. Many refineries are working to manage the heavy oil or bitumen because of increasing supplies with increasingly constrained or decreasing supplies of conventional sweet crude. A few refineries in Alberta and one in Ontario have coker units. A massive investment $2 billion is required to install a coker. . . .In the US, 59 of the 134 refineries are equipped with coker units. Could you author a thread on weather, the definitions of it and how that applies to climate for IPCC ? How does IPCC then pull sea level rise, flooding, drought, and other items into it’s remit? Why are we still discussing a non-event, AGW? Because there’s nothing on television? Or at least not until the next World Cup match. The erratic oscillations of ENSO are fascinating but not necessarily a “wild beast”. It is not really a chaotic system as one can simulate the underlying oscillations by synchronizing it with the right external force. Amazing and simple at the same time. In a move that should make skeptics happy, Obama is setting aside $1 billion for resilience projects on a competitive basis. One could also argue that his administrations funding of the ISIS faction and their actions in Mosul (which increased the price of brent by 3$ a barrel) is also a defacto climate initiative. All the while, the President is trying to bridge the gap with diplomacy. So when the May number is posted, Chef Multiple Personalties thinks the PDO is going to cool. Michael ,could you try another nickname? Funny as it is you would be better as a Man or Mann rather than a mouse. It’s not the color of the moon, it’s the content of its cheese. Barack Obama meets with HM The Queen. Without pausing for a moment, the private secretary replied, “That would be me.” “Yes! Very good,” said the Queen. When Obama went back home he asked Joe Biden, his vice president, the same question. “Joe, answer this for me. He went to his advisors and asked every one, but none could give him an answer. And the total warming from greenhouse gases is 6/8th of SFA. About the size of randy’s cartoon science. Given the time lags and feedbacks inherent in the global climate system is it possible to show that recent climate change does not need any cause beyond a chaotic non linear system doing what chaotic non linear systems generally do? That is, that there need be no external ’cause’ behind late 20th century warming at all? I strongly suspect this is the case. I am sorry. That is not a simple question. Leo, this is THE question, and the answer is not simple! however, first you have to demonstrate that the climate is chaotic. Why ‘system as a whole’? Clearly there are linear, predictable, parts. Having been involved on this issue for some time, let me try and assess what the major difference is between the warmists and the skeptics. And as no surprise, it is the issue of the numeric value of climate sensitivity. Warmists, including our hostess, believe the various numbers for climate sensitivity have a meaning in science, albeit with some degree of uncertainty. Skeptics, like myself, believe the numbers have no scientific meaning. I can very easily be convinced that CAGW is real; just show me a measured CO2 signal in a modern temperature/time graph. I have not been able to convince any warmist that my idea has any scientific merit. I suspect this gap between us is unbridgeable. > Skeptics, like myself, believe the numbers have no scientific meaning. I’d rather omit the commas, Jim, for I believe there there’s no need to disbelieve CS to be a skeptic. Many roads lead to skepticism. This is a lecture by Richard Lindzen, who believes CO2 IS a greenhouse gas and that it will tend to raise the temperature of the surface as it increases, where he discusses the role of cirrus clouds in climate response to a doubling of CO2. This video is pretty cool. It makes drones look at lot less scary. Of course, if it were an armed drone, this could have turned out badly for the fans. As of this writing, the LAPD has not responded to multiple requests for comment from Business Insider asking whether they lost a drone outside the Staples Center Friday night. Of course, with no official response, it is impossible to confirm whether the drone in the video did indeed belong to the police. However, the LAPD did recently acquire drones. Prompted by Judy’s request to find usages of labels by those like “Lindzen, Christy, etc” against their opponents (paraphrasing), I started to look for what I can find. It’s my party and I’ll Google if I want to. Bear in mind that I have no idea what Judy’s “etc” has in mind. Tribe talk is more frequent than tribe demographics. So I’ll include contrarians in general. Thanks, with due respect, this exchange illustrates a key problem of engaging in debates with someone without having a clue what their views are. From an anonymous blog commenter, maybe par for the course, but for Krugman it is inexcusable. As you really have no idea what my views are on carbon pricing, cap & trade, stabilization, energy access or anything else, I’ll leave you to your own resources to answer your own questions. They are easily found, just a click or two away in fact. Junior seems to be able to express lots of ideas with all due respect. translation. I want to slag junior, just like I need to slag judith. sometimes you have to play stupid. Parachuting oneself on the field oblivious of the first ClimateBall ™ halftime may not lead to optimal goalkeeping. willard nurses his turf toe from the artificial surface. Australia’s chief trade-deals negotiator has labeled the bid by President Barack Obama to cut U.S. power-plant emissions as lacking substance. “There’s no action associated with it,” Trade Minister Andrew Robb said in a Sky News interview from Houston, Texas, where he was accompanying Australian Prime Minister Tony Abbott. Abbott, who is seeking to dismantle Australia’s carbon-price mechanism before it hosts Group of 20 leaders in November, isn’t supporting Obama’s bid to pressure India, China and other nations to help form a world-wide agreement to combat climate change. The president is seeking state-by-state limitations on carbon-dioxide emissions to limit the effects of man-made global warming, and earlier this month proposed cutting power-plant discharges, the nation’s largest source of the gas, by 30 percent by 2030 from 2005 levels. “Despite the rhetoric you get over here and all the targets for 30 percent reductions and all this, it’s just rhetoric,” Robb said. Only if you’re getting called “moderate fringe” should you start to worry about doing something wrong. I’m wondering if anything can be learned about the current “balanced” temperature from the return rate of temperatures following an El Nino? Or can anything further be learned about the climate system by observing the post El Nino response? I haven’t brought this up before because I thought there might be post El Nino recovery mechanisms going on that was “obvious.” Also, sometimes folks on this blog don’t seem to like naive questions. However, I was emboldened by a talk from Dr. Lindzen, in which he noted that the temperature lapse rate of volcanoes can tell us something about climate sensitivity. Essentially, the faster the lapse rate, the lower the climate sensitivity. Why shouldn’t this apply also to El Nino, minus any recovery effects? And if ENSO is well understood, it seems these effects ought to be well understood. Why are we not looking at the changes in the spectrums that plants use? Why are we not looking at the spectrums that plants use? The only thing that could make this story better would be substituting carbon credits instead of currency. For those watching the arctic summer ice extent (NORSEX), will the fact that 2014 looks like it will be close to 2009/2013 levels (potentially above) impact people’s perceptions of the issue? Quite good though I don’t know where it’s going and how it will be accepted. The above would suggest a reason for the hiatus. It also suggests the oceans were paying attention to what the sun was doing at stopped throwing so much heat into the atmosphere. Those are pathetic arguments. What is that guy doing? Invoking a notch filter to explain why a TSI signal is not getting through? That is plain ridiculous. The much more plausible explanation is that the TSI signal is at the 0.05C level and you need a sophisticated tool such as CSALT to pull that signal out of the rest of the natural variability factors (such as ENSO, volcanic eruptions, etc). My question is : Where do they find these people? Web, so how does your CSALT model handle the problem of “Backtest Overfitting”? I was trying to ask you this earlier, but I didn’t know the technical term. I wonder if the rise and fall of arctic ice is cyclical? If so, what is the period of the cycle? And what causes the cycle? If so – how much of the rise and fall from 1979 to present is natural and how much is due to human causes? Same questions for Antarctica sea ice. I am thinking of a 30 year or so period (or 22), not the ice age cycle. It seems like the arctic ice extent must have been fairly low in 1903-4, and everything else in the climate seems to cycle – so I wonder if it is a mistake to look at a small number of years of declining sea ice and project that trend into the future (ditto for rising sea ice, which they did in the 70’s).